Quartered walnut veneers contrast with ambrosia maple veneer drawer fronts two create a handsome two-tone look in this contemporary style chest of drawers. 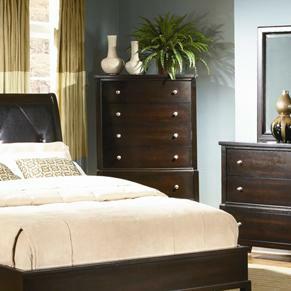 Crisp vertical and horizontal lines create a modern silhouette while five spacious drawers provide ample storage space. 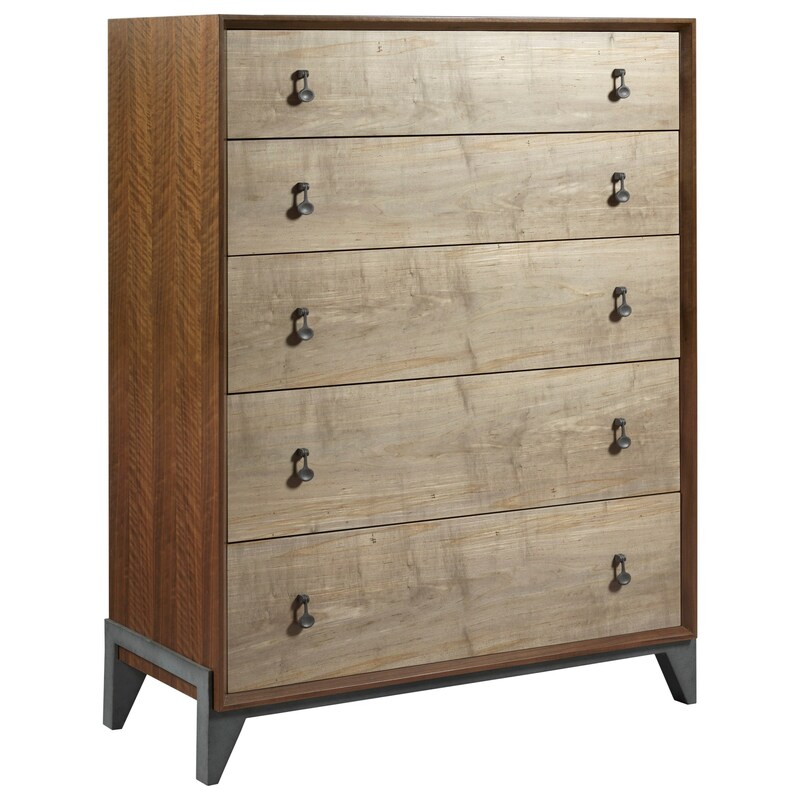 The Modern Synergy Contemporary Motif Drawer Chest with Cedar-Lined Bottom Drawer by American Drew at Northeast Factory Direct in the Cleveland, Eastlake, Westlake, Mentor, Medina, Macedonia, Ohio area. Product availability may vary. Contact us for the most current availability on this product. Storage Five storage drawers with cedar-lined bottom drawer.